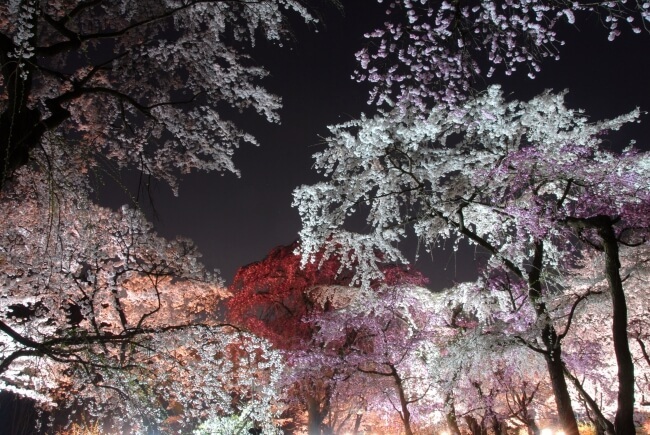 Kyoto Botanical Garden’s Sakura Light-Up 2019 will run from March 25 to April 7 followed by the Sakura Sanpo cherry blossom strolling event from April 19 to 21. Located by the Kamo River, Kyoto Botanical Garden is a large botanical garden and conservatory home to countless valuable plants that can’t been seen anywhere else. They currently have close to 200 species of plants. General guests are allowed to see 140 of these. The garden boasts a long cherry blossom season. 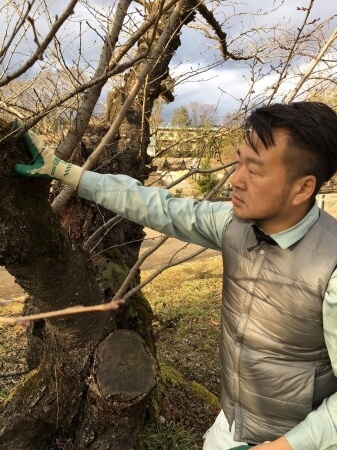 In many famous cherry blossom spots in Japan the Yoshino cherry trees bloom for one week at the beginning of April, but at Kyoto Botanical Garden they sprout early in mid-March and stay until the end of April. The garden houses an old Yoshino cherry that was planted in 1961 during the Showa era. Gazing upon its beautiful old trunk that sprouts new branches evokes the history of the garden. Turmeric has a recorded history in Japan since the middle of the Edo period where it has gone by many names such as kizakura (yellow cherry blossom), koganezakura (golden cherry blossom) and asagizakura (light yellow cherry blossom). Ninna-ji Temple in Ukyō, Kyoto is home to both single and double-flowered omurozakura cherry blossom trees. 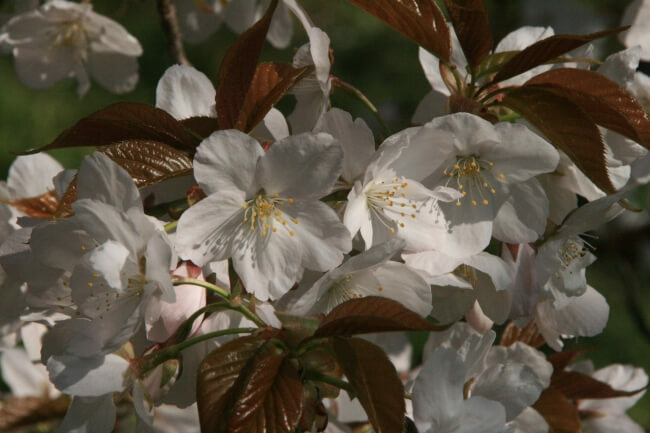 Amongst these is the ‘half-flowered’ cherry tree called omuroariake. 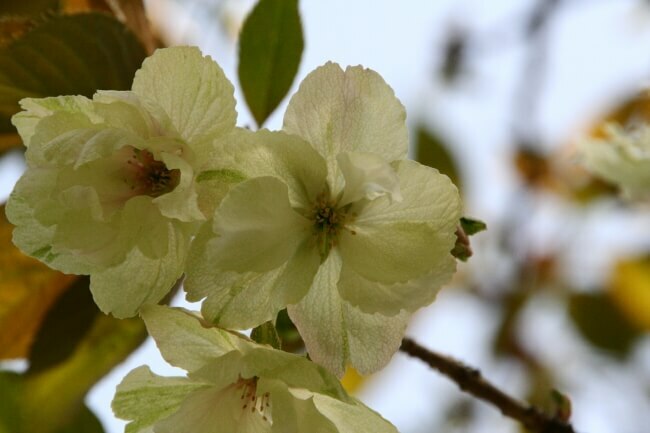 It’s a ancient variety of cherry blossom in Kyoto that has been around since the Edo Period. 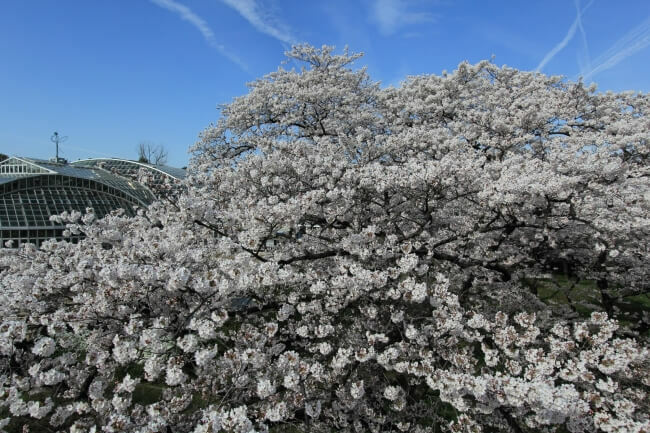 Enjoy hanami this year in Japan through March and April at Kyoto Botanical Garden. *Those wishing to participate at either 1:00PM or 5:00PM must meet in front of the Shokubutsuen Kaikan.